Your natural experience in the Salzburg mountains. For all active holidaymakers who want to experience something during the day and want to end the evening relaxed. 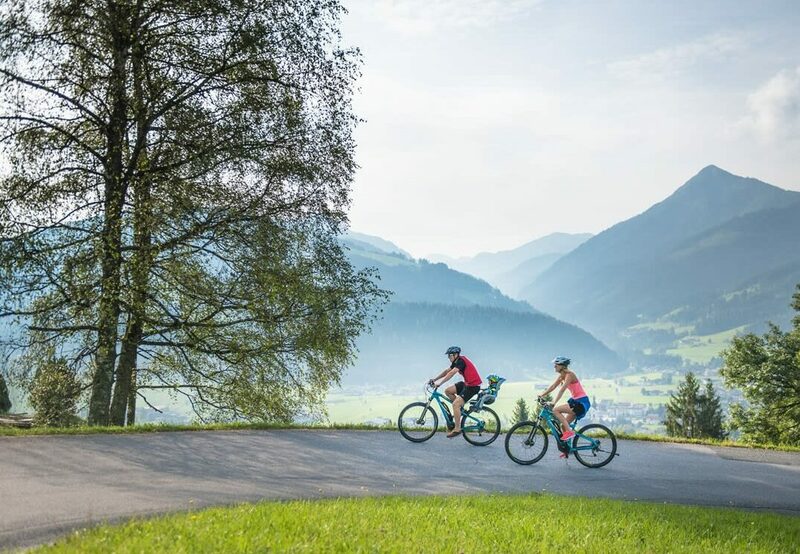 Explore the Salzburger Sportwelt on foot or on two wheels, we will gladly give you tips for great hiking tours and bike routes. In the afternoon, our Almsaunaland and pool, as well as a relaxing body mask in the SPA awaits you, as a perfect balance to the sports program.